My mother had grasscloth installed in our den when I was a child. I've loved it since. I need to decide on it's application in my own home, somewhere, but remain indecisive. Do you love grasscloth too?? I love the look and feel of grasscloth but have yet to use it in my home! I love that first photo though! I wonder if the grasscloth came patterned or if they had the pattern added later on? It's gorgeous either way! I am in the process of trying to find the perfect grass cloth for Rob's office at the new home...too many to chose from! So good to see I'm not alone here! :) I love the varying textures and the fact that grasscloth generously hides wall imperfections and will never show nail holes, etc... Thanks for all the lovely comments ladies! i love the look and texture it adds to a wall. that first look is amazing. i do love grasscloth and i adore these photos you chose! p.s. i've been a follower for awhile now and just noticed all of you home pictures...LOVE! great job on all of your rooms in your house! i love the first photo, it is stunning. i have never tried grasscloth but i love the look of it! I love it, but my mom talks me out of it every time I bring it up because she had a house full of it that was a nightmare to remove. Maybe one day! Love it! And love that first one you featured. I have really been liking grasscloth lately too! It looks so chic in every place I see it in! How could you not love grasscloth? I have a major soft spot in my heart for grasscloth. Love how high heeled foot in the door used it on her ceiling! Although I love it in any room. Hells.yes. I was obsessed with that top grass cloth, and found out it would cost me 2 grand for my tiny bathroom. I was sad...I thought bout making my own...but grass cloth is a paint to paint on...bummer. love grasscloth! my parents had it in our study growing up. i'd love to put some in my next house! Image #1...Worlds Away Studly! LOVE IT, and P.S. it is right down the street from my house! 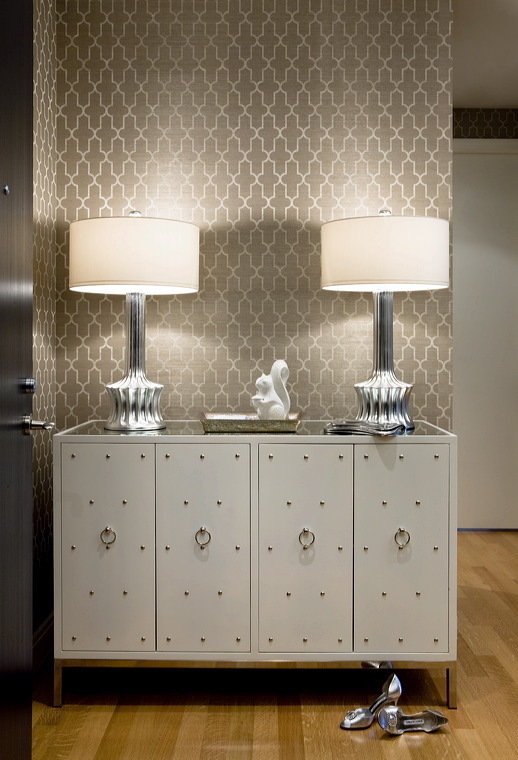 Love it and love using it in project where grasscloth adds texture, warmth and depth to the space. The first image is great! Yes, love it! Have used it in a few interiors I've done and have always adored the raw, organic feel. My yoga studio has something similar on the floors in the bathroom. It makes it really cozy! Its my favorite! It was on the walls at the Wynn hotel when I stayed there and ever since I have wanted to put it in my bedroom. a classic in my mind! we had grasscloth growing up & my dad still has it in his entryway. loving the one in the first pic especially. 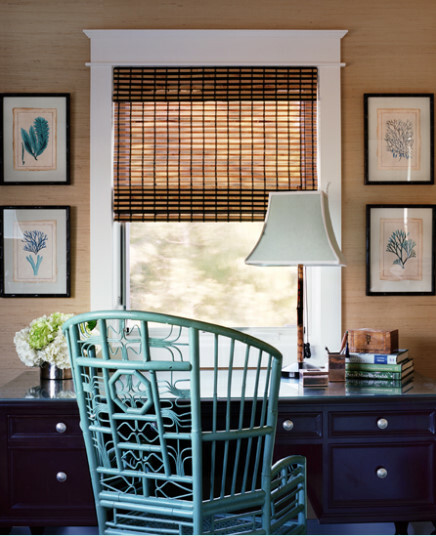 I LOVE, ADORE the look of grasscloth. I never goes out of style. The first pic is to die for! I also love it, but in smaller rooms/areas. I have seen too many large rooms with grasscloth and I find that I get tired of them quickly (but it is probably something wrong with me!) - it can almost feel like a cabin if you over-do it. But who am I talking to - your are the girl with fab taste! Whatever you decide will be something I am going to want to copy! I sure love grasscloth. That buffet is on my wishlist...in black. The whole post. Speaks to me. I hope to one day get it in a soothing grey...or gray. India's finest decorative arts for luxury home furniture and interiors. Our collection is custom created for you by our experts. we have a tendency to Interior Design Bangalore bring the world's best to our doorstep. welfurn is leading Interior design company that gives exquisite styles excellence in producing and Quality standards. will give door-step delivery and can complete the installation at your home.